That's a phrase that's been bouncing around The Land about the Cleveland Indians' expert manager — Terry "Tito" Francona. 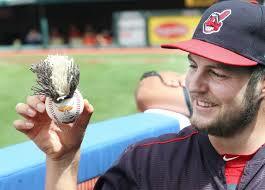 We Tribe fans love this guy, and we give him major credit for the Tribe's success. Yes, the Tribe has not won a World Series in my lifetime. The last time that happened was in 1948. It would be nice if they delivered this postseason, but that possibility is three playoff series wins away. I do know this much: I will be cherishing each moment of the postseason, just like this regular season, win or lose. Man, it's been fun to watch a fundamentally sound, well-managed and dominant team. Thank you, Tribe and Tito! The Tribe rarely makes mistakes. They have the second highest fielding percentage in the major leagues (the Miami Marlins are slightly higher), but here's why that statistic is doubly awesome. The Tribe's pitchers have the most strikeouts and fewest walks of any team. Incredible statistics. In other words, they're the toughest team to get the ball in play against or get a free pass, and we have an excellent fielding team if you do get it in play. 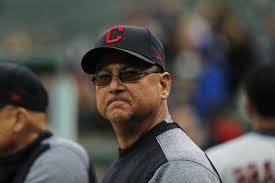 During Tito's past five years at the helm, the Tribe's Achilles' heel has been hitting. But this year, they are ranked fifth in the major leagues in hitting. Of course, they set an American League record for a 22-game winning streak and have the best record in the American League. Could this be the year to finally win it all? Strange as it may sound, I don't care as much as you might think. Now that LeBron and the Cavs gave Cleveland the championship it desperately deserved, I'm pretty chill. My mindset has changed, and I actually think the Tribe and Tito share this mindset: We're going to put a team out there that is hard to beat. We won't beat ourselves. And if you beat us, we will tip our hats to you. We might even carve a baseball that looks like you. Poetic. The Tribe's season has been so special that I'd have to call it "poetic." We are in the professional sports era of mega-million dollar contracts, analytics and free agency. Tito and the Indians front office understand this extremely well, and we still had the best record in the American League with an opening-day payroll of $124 million (17th highest of 30 teams). The Dodgers won the National League, but nearly doubled the Tribe in payroll with its league-leading $242 million. Back to Tito, there certainly is no other manager I'd prefer at the helm. He is battle tested, having won two World Series titles with the Red Sox. For God's sakes, if he could break the Red Sox's 86-year-old championship drought, he certainly can help break the Tribe's 69-year-old championship drought. Of course, anyone worth anything could say enough is enough with pro sports. But the truth is that when pro sports are done correctly, they bring communities together, give fans a water-cooler topic and even span generations. That's what happened with the Tribe this year. Our playoffs start Thursday!